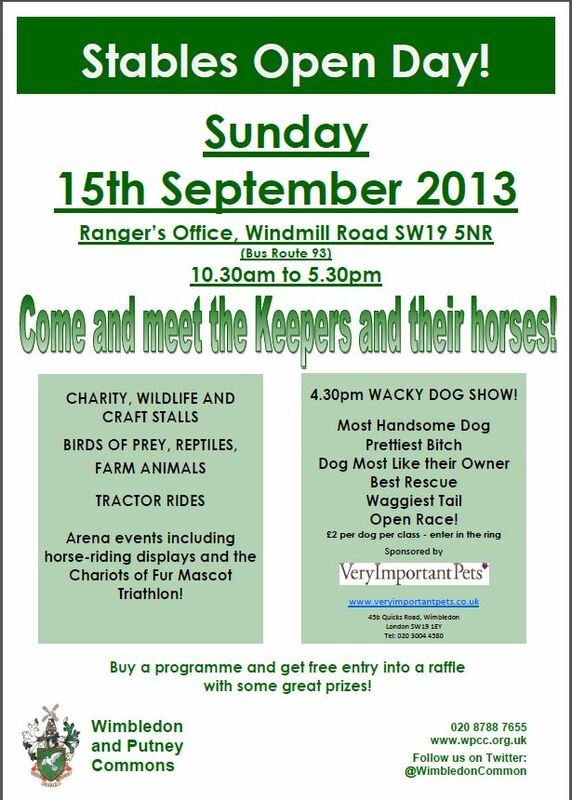 We have a stall at the Stables Open Day on Wimbledon Common this weekend. It’s an event that just keeps growing from year to year and has something for everyone. We will have a selection of Animals Asia merchandise, some excellent donated goods and our very popular toy tombola – and of course petitions to sign. As we don’t have to pay for the stall all monies we raise on the day will go to Animals Asia, so please do come along and see us if you’re in the area. Bring friends and family and don’t forget your canine companions if you have any – you may want to enter them into one of the fun dog shows. This entry was posted on Thursday, September 12th, 2013 at 12:43 pm	and tagged with Animals Asia, dogs, moon bears, Stables Open Day, Wimbledon, Wimbledon Common and posted in London events. You can follow any responses to this entry through the RSS 2.0 feed.